The holiday has me reminiscing about Thanksgivings past. For the last few years, we’ve celebrated quietly at home. I find it a relaxing alternative to some of the holidays we’ve celebrated. The first Thanksgiving I hosted, with my two roommates, was an unqualified disaster. After suffering through the anxiety of preparing a turkey for the first time (and neglecting, out of ignorance, to remove the plastic bags full of innards from the interior before we cooked it), we discovered that the plumbing in the upstairs bathroom of our townhouse was leaking. The result? A huge, water-filled plaster bubble forming right over – you guessed it – the dining room table. A few years later, my then-new husband and I hosted Thanksgiving for a few transplants who, like us, could not make it “home” for the holidays. My much-beloved but chronically late sister was in charge of appetizers. I had stocked up on wine and beer but had no back-up snacks. By the time she arrived, my guests were, shall we say, slightly more basted than the bird. Attempts to carve said bird resulted in a scene so brutal we probably could have been picketed by animal activists. Fast forward a few years. Because Christmas was on a Wednesday my family was unable to gather for that holiday. In my infinite wisdom, I invited them all to our home for the earlier holiday, suggesting we celebrate Thanksgiving on Thursday and “Christmas” together on Saturday. Thus began perhaps the wildest holiday weekend of all time – a huge feast followed by tree trimming, gift shopping, wrapping and celebrating again in the space of a couple of days. If you find it hard to prepare for Christmas in the four weeks that follow Thanksgiving try doing it in 48 hours. When our first two kids were young and I was still working full-time out of the home, I found it hard to prepare for Thanksgiving at all. This included actually purchasing a turkey. One year, by the time I got to the store late on Wednesday there was nothing but tiny birds left. I actually considered cooking two until I snapped out of it. The next year, determined to get to the store earlier, I did the exact same thing, only this time the smallest bird I could buy was 18 pounds. All this for a house that contained two adults and two toddlers who hadn’t eaten more than a teaspoon full of food at one meal ever. I’ve never been able to decide which was worse (read Help me solve my turkey dilemma). Happy Thanksgiving everyone! Enjoy (and pay homage to) your bird. 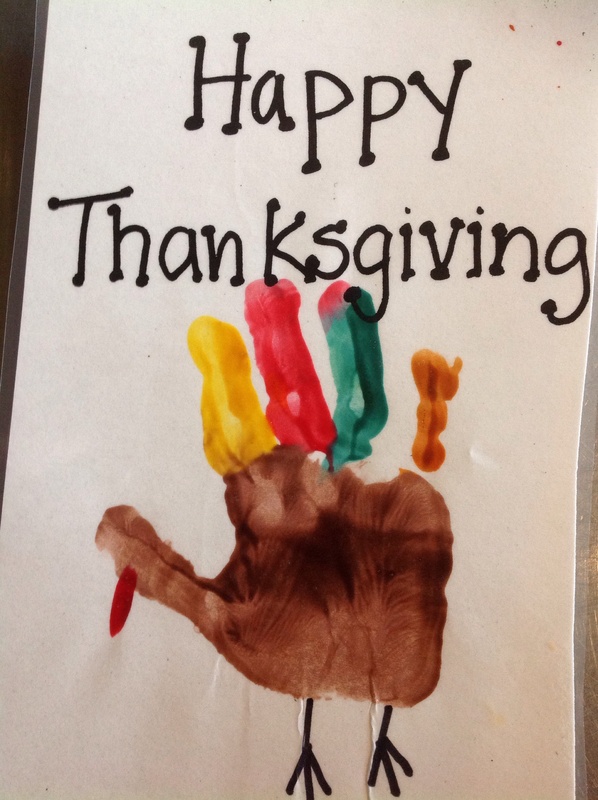 This entry was posted in Little Leaguer, Squalling Infant, Surly Teen, Unruly Toddler and tagged cooking a Thanksgiving turkey, cooking a turkey, entertaining, humor, management, parenting, Thanksgiving by Sarah Day. Bookmark the permalink. Thanks so much Julie – have a wonderful holiday!